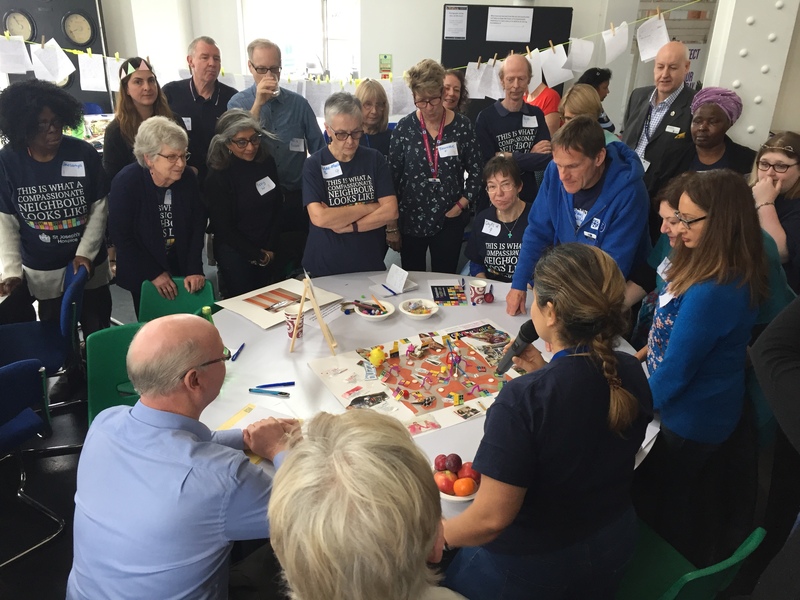 As we come to the end of the Nesta funded roll out compassionate neighbours and staff from across the eight hospices involved so far came together last month to celebrate what has been achieved over the last 18 months, reflect on learning and plan for the future. Once again, we heard about the difference this project makes and experienced the power of working together across Compassionate Neighbour projects. One compassionate neighbour wrote this fabulous poem on the day which we think sums the programme up. supporting our members through illness and age. through the next decade, starting today…. 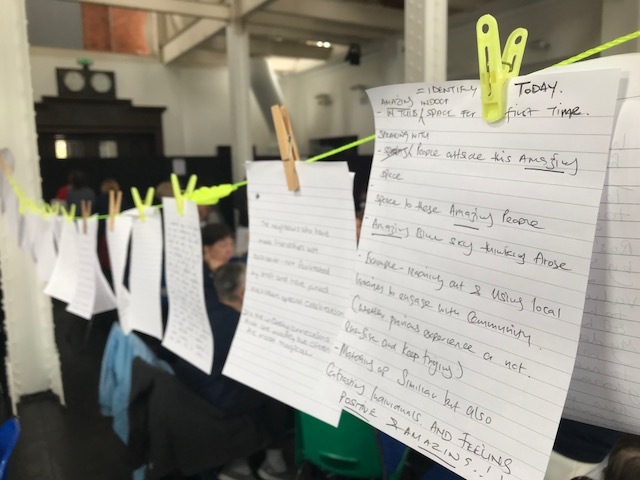 Everyone wrote down memories of the project that they pinned to a washing line. This gave us many stories that warmed our hearts. So we enter a new chapter for Compassionate Neighbours and look forward to welcoming a couple of hospices from the South East who will be shortly joining the network.